UPDATE: One of Queensland's top lawyers says the High Court found Gerard Baden-Clay "plainly lied" on oath and that testimony cut off any alternate theory that his wife's death was an accident. Queensland Law Society president Bill Potts said Australia's highest court had examined the case carefully. "In essence, it has said Mr Baden-Clay gave evidence; not only did he talk to the police but he gave evidence on oath before the jury and he plainly lied," he said. "Those lies were accepted both by the court of appeal as being evidence that he had, after the offence, acted in a dishonest way. "The evidence consisted of the way in which he lied about scratches to his face, the disposal of Allison's body in the Kholo Creek and the way in which he sought to hide and dissemble with respect to what would be seen to be motivations for murder. "Despite the fact the defence team at the trial, at the completion of the Crown case, said there was a reasonable hypothesis of manslaughter, the High Court has said that by Mr Baden-Clay giving evidence contrary to that, that this meant the Court of Appeal was effectively impermissibly speculating. "Mr Baden-Clay, by saying he had no involvement in his wife's murder, that he knew nothing of the circumstances of her death, was simply cutting off any suggestion or any hypothesis that was consistent with manslaughter." Mr Potts said this case had been arguably one of the most high-profile and emotive cases in Queensland's legal history. But he asked everyone to respect and embrace the High Court's decision. "There has been a significant amount of public interest with respect to this matter and I think that's a good thing. The public must own the justice system,"' he said. "Albeit I suspect for some people slowly and uncertainly." Baden-Clay has no further grounds or basis for appeal. He was sentenced to life imprisonment and will serve a minimum of 15 years behind bars before he can be considered for parole. Baden-Clay High Court decision explained: Bill Potts of the Queensland Law Society comments on High Court decision. 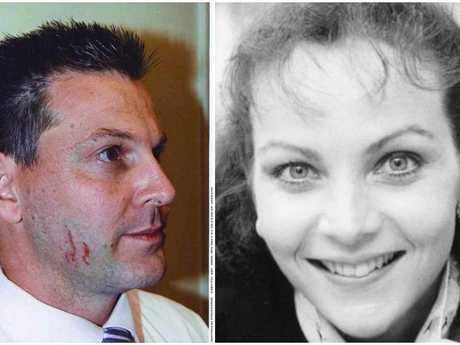 10.40am: THE High Court has reinstated Gerard Baden-Clay's murder conviction over the death of his wife Allison. Five justices in Australia's highest court unanimously found the Queensland Court of Appeal erred in concluding the jury's guilty verdict for murder was unreasonable, and subsequently downgrading the conviction to manslaughter. They found Baden-Clay's evidence at trial that he had nothing to do with his wife's death was inconsistent with his argument on appeal that Allison's death could have been unintentional. The justices also found the jury were entitled to making a finding of guilt on the murder charge regarding all of the evidence. Last year, the Queensland appeal court found there was a reasonable hypothesis for a possible physical confrontation where a subsequent fall could have caused Allison's death. It concluded the prosecution had failed to exclude the hypothesis Baden-Clay unintentionally killed his wife. In a summary of a judgment handed down in Canberra this morning, the High Court said the hypothesis on which the Queensland Court of Appeal acted was not available on the evidence. "The (Queensland) court held that, although it was open to the jury to find (Baden-Clay) had killed his wife, the evidence did not allow the jury to be satisfied beyond reasonable doubt (Baden-Clay) intended to kill her, or to cause her grievous bodily harm," it read. "In particular, the court accepted (Baden-Clay's) submission, made for the first time on appeal, that the prosecution had not excluded the hypothesis that there was a physical confrontation between the appellant and his wife in which he delivered a blow which killed her (for example, by the effects of a fall hitting her head against a hard surface) without intending to cause serious harm.
" At the trial, (Baden-Clay) denied that he had fought with his wife, killed her and disposed of her body. "His evidence, being the evidence of the only person who could give evidence on the issue, was inconsistent with that hypothesis. "Further, the jury were entitled to regard the whole of the evidence as satisfying them beyond reasonable doubt that the respondent acted with intent to kill or cause grievous bodily harm when he killed his wife." The High Court ordered that Baden-Clay's conviction for murder be restored. This means his sentence of life imprisonment stands. The judgment summary also detailed the background to the Baden-Clay case. "(Baden-Clay) gave evidence that he, his wife and their three daughters were at home on the night of April 19, 2012," it read. "(Baden-Clay) said that he went to bed at about 10pm, leaving his wife in the living room; the next morning, she was not at home. "He said that his wife often went for an early morning walk. He said that after a period of time, he attempted to contact his wife, went driving around the suburb looking for her, and finally called 000 to report her missing. "On April 30, 2012, (Allison's) body was found under a bridge on a bank of Kholo Creek. "Baden-Clay had been involved in a sexual relationship with another woman, Ms Toni McHugh, since August 2008. His wife believed that the affair had ended in 2011. "On April 16, 2012, on the advice of a counsellor, (Allison) spent some time "venting and grilling" (Baden-Clay) about his affair with Ms McHugh. "On the day before (Allison's) disappearance, Ms McHugh told the respondent that she would be attending a conference (Allison) was also planning to attend. "(Baden-Clay) had told Ms McHugh that he would be out of his marriage by July 1. "Following (Allison's) disappearance, injuries to (Baden-Clay's) right cheek were examined. He said he cut himself shaving. Three experts gave evidence that one set of scratches was most likely caused by fingernails." The Crown argued at trial that the fingernail marks were evidence of a struggle and that Baden-Clay was under a lot of pressure from his mistress and financial issues with his real estate business when he murdered his wife. THE High Court will this morning hand down its decision on whether to reinstate Gerard Baden-Clay's murder conviction. The decision, which will be delivered in Canberra, comes just more than a month after a hearing in Brisbane on the case. The Queensland Court of Appeal controversially downgraded Baden-Clay's murder conviction to manslaughter after a hearing last year. His legal team successfully argued there was a reasonable hypothesis for a possible physical confrontation where a subsequent fall could have caused Allison's death. The Crown argues the appeal court made a series of errors in reaching its conclusion. The High Court can reinstate Baden-Clay's murder conviction if it believes the Queensland appeal court erred. If not, it is expected Baden-Clay will be sentenced for manslaughter soon after. During the High Court hearing in Brisbane, Justice Patrick Keane questioned whether a jury could have decided Baden-Clay was "in a fix" and his wife's death was the only way "out of the corner he has painted himself into". Justice Keane said if the jury was entitled to believe Baden-Clay was "in a fix", that he was conscious of a problem and he intended to keep a promise to his mistress to leave his wife Allison, then an intentional killing could not be ruled out. "That's not neutral as between an unintentional killing and an intentional killing because an altercation which just happens, which doesn't lead to his wife's death, doesn't solve his problems," he said. "Only an altercation that results in death solves his problem." Baden-Clay's barrister Michael Byrne told the High Court his client was not under the intense pressure to leave his wife as the Crown argued because lover Toni McHugh never believed Baden-Clay would honour any commitments he made over their four-year affair. "It's hard even from the scenario Your Honour properly puts to us that the intention of killing his wife would solve any of his problems," he said. The High Court justices also grilled Baden-Clay's lawyers over how the Queensland Court of Appeal could consider an hypothesis that Allison died from a fall following a confrontation when Baden-Clay testified at trial that he was not involved in his wife's death at all. The appeal court presented this hypothesis as part of its reasoning for downgrading the jury's murder verdict to manslaughter. "He has had the opportunity to give the evidence, he has given the evidence, it is inconsistent with any notion at all that there was an unintended killing by him," Justice Keane said. Mr Byrne argued the onus was on the Crown to prove intent. He said Baden-Cay's evidence in the witness box did not prevent the appeal court from considering an alternative hypothesis.